PARIS (AP) — French authorities on Tuesday froze the assets of the internal security section of Iran’s Intelligence Ministry as well as those of two Iranians, and all but pointed a finger at Tehran as the force behind an alleged plot to bomb an Iranian exile group’s rally near Paris. Police also raided the headquarters of a Muslim religious association in northern France, seizing weapons and detaining three people. The building houses a Shiite federation, an anti-Zionist party and other groups. The assets of the groups and their leaders were frozen as well. A joint statement by France’s interior, economy and foreign ministers made clear the six-month freeze on the Intelligence Ministry’s internal security section was linked to the alleged attempt to bomb the June 30 rally outside Paris of the People’s Mujahedeen of Iran, or MEK. The ministers called the action “preventative, targeted and proportionate.” The statement did not explain what funds might be in France. 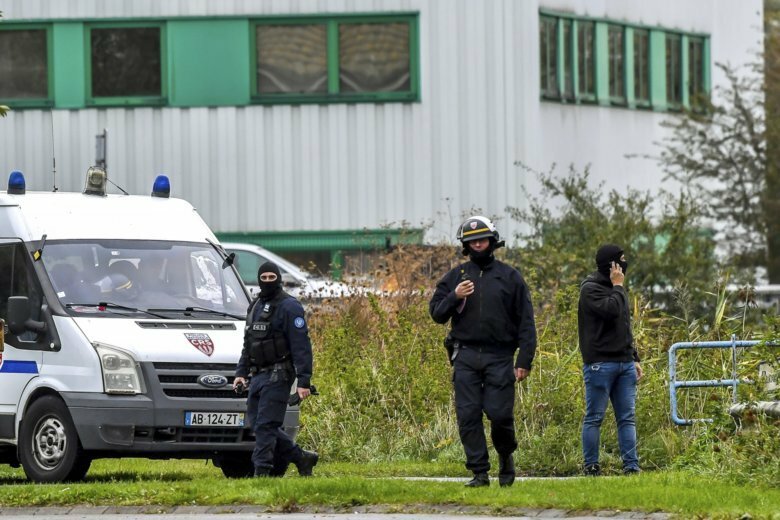 In the second move, authorities froze the assets of Centre Zahra France, a Muslim association in the town of Grande-Synthe, outside Dunkirk, as well as those of three organizations and four men linked to the groups. The three groups are under Zahra France’s wing and include the Shiite Federation of France and the Anti-Zionist Party. One of Zahra France’s leaders, Yahia Gouasmi, is president of the Anti-Zionist Party, In 2010, he met with the leader of the Iranian-backed Hezbollah at its base in Lebanon. The year before, he met in Tehran with then-Iranian President Mahmoud Ahmadinejad, who predicted Israel’s demise. One of the two Iranians targeted in the freeze of the Intelligence Ministry section was Assadollah Asadi, a Vienna-based Iranian diplomat who is a suspect in the alleged attack on exile group MEK’s rally. Assadi was arrested in July near the German city of Aschaffenburg on a European warrant after a couple with Iranian roots was stopped in Belgium and authorities reported finding powerful explosives in their car. A German court Monday approved the diplomat’s extradition to Belgium. “We must dry up the channels of financing of terrorists to end their intolerable activities,” Economy Minister Bruno Le Maire said in the statement. A French official with knowledge of both operations said freezing assets of the Iranian government’s internal security section and of Zahra France was a “signal that France wants to send to Iran” that “no form of interference” on France territory would be tolerated. The official was not authorized to speak publicly about the topic and requested anonymity.